Living in this complex, modern world has advantages, like energy and time-saving tools, but it also has a myriad of disadvantages, including constant bombardment by the electromagnetic fields (EMFs) throughout our environment. Homes and offices are filled with wireless devices, from cell phones to computers, laptops, and printers. How much do we know about these modern conveniences affecting our bodies on a cellular level? What are these electromagnetic fields doing to our environment and therefore our bodies as well? EMF radiation and health is an important subject to explore. 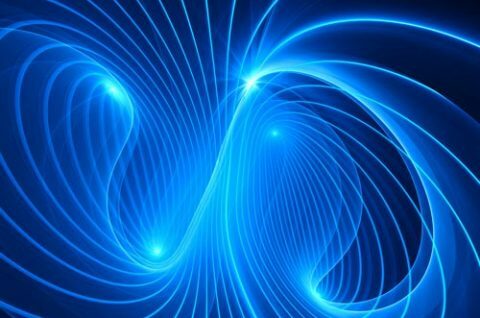 Electric and magnetic fields, or EMFs, are invisible lines of force that are created by electric charges. In other words, wherever there is electricity, there are also electromagnetic fields. EMF sources with high voltage produce strong electric fields from the strength of the charge, but they are easily shielded, weakened, and blocked by objects such as trees and buildings. On the other hand, EMF sources with strong currents produce magnetic fields, which result from the motion of the charge or the current, and they are not easily blocked. The strength of both electric and magnetic fields decrease as you move further away from the source. It is clear that escaping electromagnetic fields is not possible unless you live in the remote regions of the world. Where escape is not possible, the next best solution is to learn as much as possible about electromagnetic fields to minimize the damage. Electric and magnetic fields come from many sources. These include transmission lines, distribution lines, internal wiring in buildings, currents in ground paths, and electrical appliances such as refrigerators, laptops, hair dryers, electric blankets, etc. It is important to understand that fields can also interact with one another to increase or decrease their total effect. This means that the EMF in one specific location, your bed, for example, depends on the distance and location of the major EMF source, such as the distribution lines, as well as the distance and the location of nearby sources, such as the refrigerator or computer. Electric fields (emanating from anything containing electricity including lamps, wiring, computer monitor, outlets, electrical appliances). Magnetic fields (a major source is the main power meter for the house, also electric clock radios). Power lines (both above and underground). Metal plumbing (older metal plumbing carries a current). Wireless communications (including cell towers, cell phones, wireless routers, cordless phones). 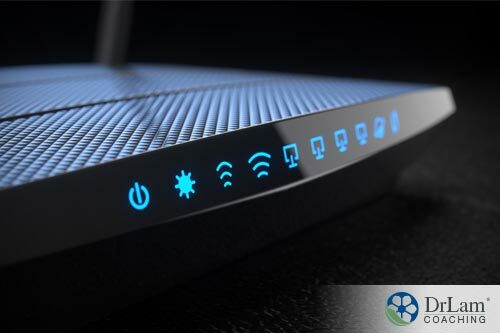 There is not much that can be done about public structures, such as power lines and metal plumbing, but there are steps that can be taken to reduce EMFs on the level of the devices in your home and office. It is also important to listen to your body and notice its signals. Where and when do you feel more fatigued than usual, a little more anxious, or perhaps dehydrated? Is it after working on the laptop for a period of time? Some of these signs could be an indication that your body is telling you that you are being exposed to EMF radiation and health effects are slowly but surely wreaking havoc on your body. Wireless communications are a major source of EMF exposure. For those of us who rely heavily on cell phones on a daily basis, this is a crucial concern. Most of these forms of technology expose us to EMF radiation, and health damage is possible. Most people do not realize that a cordless phone base is a major source of electromagnetic field exposure in the home, and it should never be placed in the bedroom or on your desk where you can be continually exposed. Even when the phone is not in use, it is still transmitting constantly. It is a better idea for you to use a speakerphone or headset. The other forms of EMFs from wireless communication can be decreased dramatically by any amount of distance or material between you and the source, as they emit linear types of radiation. Walls are a significant barrier, especially if they are reflective, that is, containing metal foil or metallic paint. 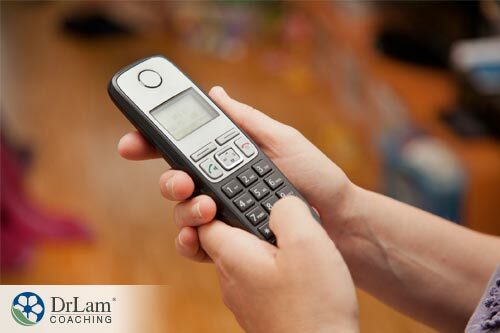 For children, the effects of EMF radiation and health are much more pronounced. When children eight-years-old and younger have their own cell phones, they are at much higher risk for health dangers later in life. All too often, these children are unsupervised in their use of cell phones. Many children and teenagers are allowed to have cell phones in their bedrooms and use them at all times of the day and night. Research has indicated children who use cell phones before the age of twenty have a more than five-fold increased risk of developing malignant brain tumors. There are several probable reasons for this. One is that the EMF radiation penetrates farther into the heads of children than it does adults. Some parts of children’s brains may absorb up to twice as much of this radiation. Another reason for the increased risk of detrimental health effects in children is that their brains are still developing. The myelin sheaths on the neurons in children’s brains are still in the process of developing, so these cells are relatively unprotected. Also, their immune systems are not fully developed. A third possible reason for this increased risk is the overall amount of time children will be exposed to EMF radiation over their lifetimes. Because this kind of radiation is cumulative, they will have a much greater level of exposure overall, increasing the risks. It’s almost impossible to get away from wi-fi, and the EMF radiation and health effects are real problems. So many of us have cell phones, and there’s a demand for wi-fi connections wherever we go. Unfortunately, this continual exposure to the EMF radiation from wi-fi connections can lead to changes in the brain. Some research has suggested this radiation can create holes in the blood-brain barrier that protects the brain, leading to an increased level of toxins reaching the brain. The increasing use of computers in schools has led to increased exposure to wi-fi EMF radiation for students. Symptoms such as dizziness, weakness, fatigue, anxiety, and concentration difficulties are increasing, and this could be due to schools that have wi-fi. More Significant Health Conditions can Result if You Live Very Close to Power Lines. With the increasing use of cell phones, there are more and more cell towers to transmit the communications from these phones. In areas with lots of hills, the EMF radiation from these towers might travel two miles. But in areas with fewer obstructions, they may travel up to 45 miles. These EMFs are strong enough to penetrate brick and metal buildings. Magnetic fields are generated from many sources including nearby power lines, power meters, motors in the refrigerator, cordless telephone bases, and laptops. Hair dryers even emit a greater magnetic field than the refrigerator. The only way to know with certainty whether the magnetic field in your home is of a high level is to test for it with a Gauss meter. Unlike electric fields which can be shielded, magnetic fields can pass through metal, even lead. The main, rather impractical solution, is to encase the source completely and ground it. You can shield against the electric field of laptops and other computer charging devices by using reflective material or metal. However, bear in mind that the magnetic field cannot be totally blocked. You still have to avoid using the device in close proximity to your body, on your lap for example to avoid EMF radiation and health effects. Also, because the charging devices are ungrounded, only use them when they are running on battery and not plugged in and charging. Although it may seem impractical only to use the laptop when it is not being charged, once you begin to understand the effects EMF radiation has on your health, you will appreciate that it is a small inconvenience. It will become second nature within a very short period of time. However, as always, just focus on making gradual and small changes so that they do not overwhelm you. There has been debate as to whether electromagnetic fields can actually harm the body. The International Agency for Research on Cancer (IARC) has classified electromagnetic fields in Group 2B of possible carcinogens. Although research has not yet been conclusive, there are several possible connections between EMF radiation and health. EMF radiation exposure can impact health on many levels including the nervous system, the endocrine system, genes, the immune system, and the brainwaves. They can affect inter-cell communication within the body, resulting in a dysregulation of cellular structure associated with many neurological and behavioral changes, cardiac arrhythmias including atrial fibrillation, altered cell growth, fibromyalgia, and adrenal fatigue. In general, your body isn’t designed to deal effectively with EMF radiation and health effects. EMF radiation can literally open up cells, allowing toxins to enter. This includes toxins found in plastics, pesticides, sunscreens, and fragrances. In a sense, adrenal supplements are believed to cause less side effects, potentially milder ones, than prescription medications. Should you care? 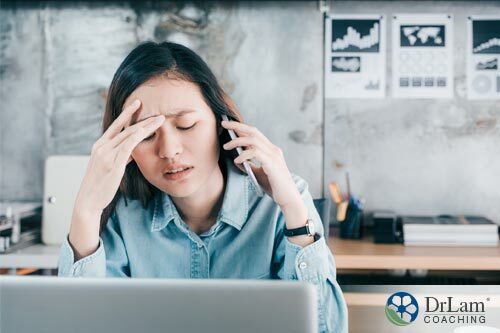 When you’re diagnosed with adrenal fatigue, it’s best to know all there is to learn about what products or substances are effective to treat your condition. In general, assessing adrenal function starts with consulting the right doctor and running some tests. Good news for many individuals, a simple saliva test can help assess any adrenal imbalance and results may show an increased or depressed cortisol. For most people, certain supplements can improve or adjust hormonal level. You can find several adrenal supplements available for you and it’s necessary to choose which products can adequately supplement you. What are the benefits or effects of these supplements? Whether in oral or parenteral form, the supplements are valuable for folks with insufficient adrenal hormones and other related condition as they support the adrenal system by way of replenishing what is lost. The potential effects of the adrenal supplements are varied and they include less hypersensitivity, reduced exhaustion or fatigue, decreased inflammatory reaction, improved tolerance to stress and anxiety and many more. Overall, correcting the imbalance can foster critical improvements and it can start the process toward the adrenal recovery. Though certain side effects of the supplements are expected like insomnia and gastric discomfort, taking adrenal supplements is helpful to restore balance and improve quality of life in the end. To support the effects of the doses, you need to incorporate some lifestyle changes, such as regular exercise, eating a balanced meal, avoiding stressful people and situations, enjoying relaxing time with friends etc., and they can be essential to the success of the whole treatment plan. Of course, consultation and assistance from a competent doctor is needed to help with compliance and efficacy.